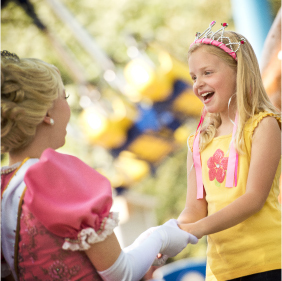 With over 35 rides, attractions, and shows, Dutch Wonderland is truly a Kingdom For Kids! Promote Family Time by joining our Royal Court of Ambassadors through our Summer Blogger Program! Being crowned the title grants you and your family a royal visit to the park in exchange for exposure and promotion on your blog and social sites. Additionally, our Royal Ambassadors are granted exclusive ticket deals and promo codes to offer their readers to further promote their following! Want to join the Royal Court? Apply today! We will create a designated webpage and personalized promo code for you to share with your fans! Through the promo code and webpage, we will be giving an exclusive discount on Dutch Wonderland Admission that is specific to blog readers. Must visit before August 18, 2019. Date of visit must be set up at least 5 business days from expected visiting date. Suggested events to visit are during Grand Opening Weekend (April 27-28), Mother's Day (May 12), or Memorial Day Weekend (May 25 - 27). Visit our Events Page to learn more about our summer events. Apply for Your Chance to become a Royal Ambassador! We will give you a designated webpage and blogger promo code for you to share with your fans! Through the promo code and webpage, we will be giving an exclusive discount on Dutch Wonderland Admission that is specific to blog readers. Must visit before August 18, 2019. Date of visit must be set up at least 5 business days from expected visiting date. Suggested events to visit are during Grand Opening Weekend (April 27-28), Mother's (May 12), or Memorial Day Weekend (May 25 - 27). Visit our Events Page to learn more about our summer events.